Inalienable rights aside, we are not born entirely equal. Some of us are granted greater vigor than others, making them more resistant to disease. However, we are equal in our freedom to choose what we do with what we’re given. 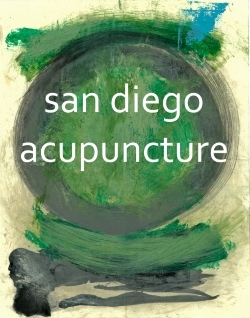 In terms of acupuncture and Chinese medicine, our constitutional strength comes from our prenatal qi. It is the qi we inherit from our parents before taking our first breath. After we enter this world and our umbilical cord (lifeline) is cut, we must begin to breathe and feed on our own. This is when our postnatal qi starts ticking, which comes from the air and food we consume. The cleaner the air, the purer the food, the stronger we become. Because we have limited control over our level of prenatal qi, but have almost complete control – at least after infancy – on the way we eat and breathe, many Chinese medicine practitioners focus on the strength of our postnatal qi. Our spleen-stomach system is responsible for converting food into nourishment. So it is the major source of our postnatal qi. Of course, our lungs are also involved because our qi depends on oxygen. But there is a greater variability in food quality – versus air quality – which creates greater challenges for our spleen and stomach. There are plenty of foods that help ensure the strength of our spleen-stomach system. This is just one postnatal qi tonic to consider: kombucha. Kombucha is fermented tea, containing yeast and bacteria. It is a probiotic that helps balance the flora in our gut and aids digestion. So, it is considered a qi tonic because it helps in the production of postnatal qi. Note: Those with candidiasis (e.g. 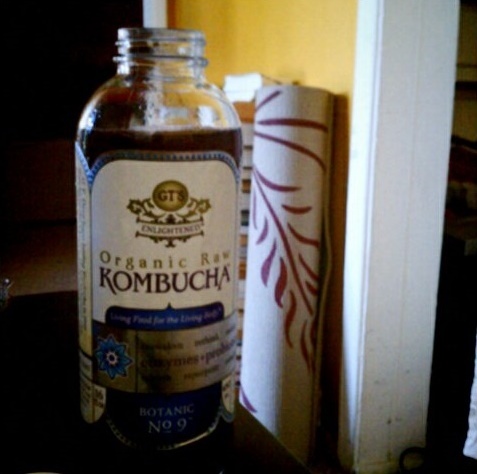 chronic yeast infections) may be concerned about drinking kombucha because it’s fermented. However, candidiasis is an infection from a yeast called candida albicans, while kombucha contains a different species of yeast. One of the yeast species in kombucha may be candida stellata, which is still different than albicans. The yeast in kombucha can help combat candida albicans, and thus benefit candidiasis. Just in case you were wondering, the other yeasts that can be found in kombucha include brettanomyces bruxellensis, schizosaccharomyces pombe, torulaspora delbrueckii and zygosaccharomyces bailii,1 i.e. all the letters of the alphabet except f, j, q, v, and w.
Kombucha is a raw food and can be found in the refrigerated section of the health food store. 1 Teoh AL, Heard G, Cox J: Yeast Ecology of Kombucha Fermentation. International Journal of Food Microbiology 2004, 95 (2): 119-126. Very nice and detailed look at Kombucha. You have focused in on many things that newbies are unaware of, specifically the Candida Albicans issue. I love the discussion of qi and definitely feel a connection to Kombucha. If anyone is interested in making at home for free, here’s an easy recipe. Great resource, Hannah. Thanks for sharing.